Input devices are used to enter data and instructions into computer memory from external world. Input Device is a hardware part of the computer that is used to enter data and instructions into computer memory. The examples of input devices include: Keyboard, Mouse, Track ball, Track Pad, Joy stick, Touch Screen, Light pen, Scanner, Digital Camera, Microphone, Graphics tablet etc. They perform three main functions. For example decimal number 5 will be converted to binary number 101.
so we write remainders from bottom to top (101) which is binary equivalent of decimal 5. Provide converted data in binary form (101) to computer memory for processing. Keyboard is the most familiar input device. It is most widely used input device to enter data and instructions into the computer. Keyboard has a set of keys like a typewriter. It has alphabetic keys for A,B,C…Z or a,b,c,…z. It has numeric keys like 0,1,2,3,…9. 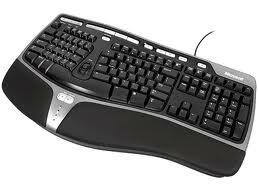 It has function keys F1, F2,…,F12 used to perform specific tasks. It has other keys used for editing like Delete, Backspace, Home, End, etc. 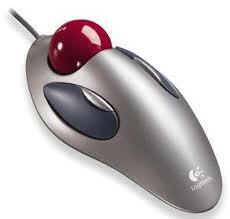 Mouse is an input device used to control motion of the pointer on screen. A mouse has two or three buttons. These mouse buttons are called Left, Right and Middle button respectively. Buttons are used to perform different functions. A mouse has a rubber or metal ball inside its body. Mouse is rolled over a flat surface called mouse pad. The movement of ball is detected by internal circuits of mouse. These circuits convert this movement into digital signals, which are sent to computer. 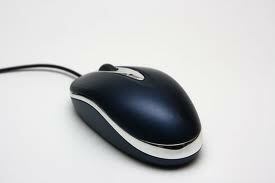 Mouse is used in graphical applications. It is also used for playing video games on computer. Track Ball is an input device like a mouse. It is a pointing input device. 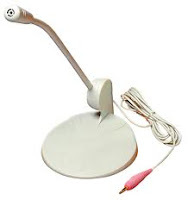 It is used in Lap top / notebook computers to control motion of pointer on screen. 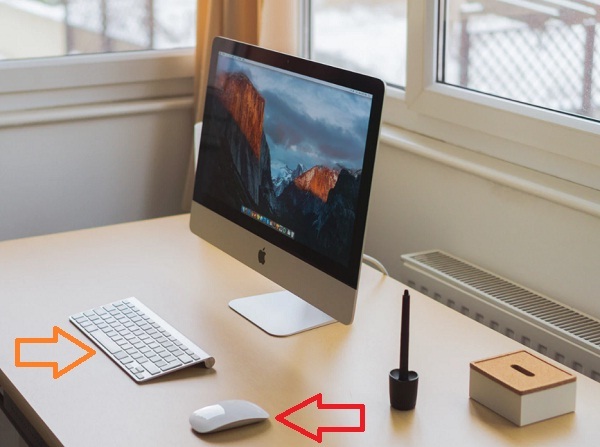 It is a pointing device like upside down mouse. It has a ball on its upper side. This ball is moved by fingers or thumb and the pointer moves accordingly on screen. Track pad is a pointing input device. It is used in Lap top computers to control motion of pointer on screen. Track pad is a stationary input device. It has a flat surface of 1.5 to 2 square inch. 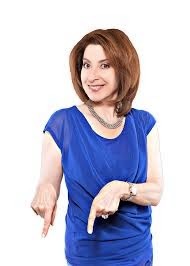 Finger is moved on this surface to move pointer on screen. 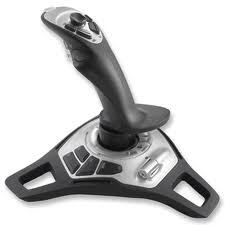 Joystick is an input device used to play games on computer. It is used to control motion of an object quickly in game with the help of a hand held stick. This stick can be moved forward, backward or side ways. This stick is mounted on a ball. When stick is moved then ball is moved and signals are sent to the computer. Light pen is an input device consisting of a special pen that is connected to a computer's monitor. The user points at the screen with the pen and selects items or chooses commands either by pressing a clip on the side of the light pen or by pressing the light pen against the surface of the screen (the equivalent of performing a mouse click). Microphone is an input device used to enter sounds into the computer. We can record sounds in computer with the help of microphone and sound card. Scanner is an input device. It is used to save pictures or text on paper into computer memory. It converts picture or text on paper in to binary form and saves it in computer memory. With the help of scanner we may save our time to type a lot of text. For example, if we have a book and wish to enter the whole text of book in to computer. It will be a long, tedious and time consuming job. But if we use a scanner, we can do this with in less time. We can scan each page of book. Editing of the scanned text is also possible. 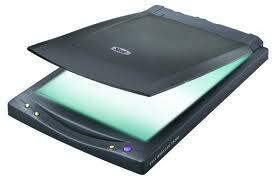 So our job will become very easy with the help of a scanner. A graphics tablet consists of a special pen called stylus and a flat pad. 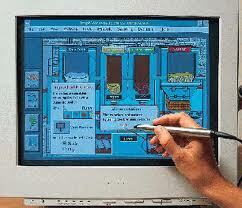 The image is created on the monitor screen as the user draws it on the pad with the help of stylus (special pen). Graphics tablet is also called a digitizer. In ATM and in latest smart phones, touch screen is used to receive input from the user. 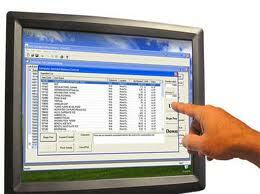 The user enters data by the touch of his finger on different menu options or icons present on touch screen. Actually touch screen is both input / output device. It performs both functions. A digital camera is one of the latest input devices. We can take pictures with he help of digital camera. These pictures are saved on digital camera's internal memory. There is no need of a film role as used in traditional cameras. Later on we can easily input these pictures with the help of a data cable into computer's memory. 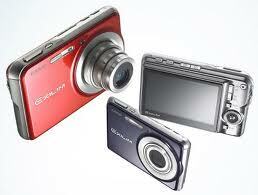 Latest digital cameras can take still snapshots and can record video as well. 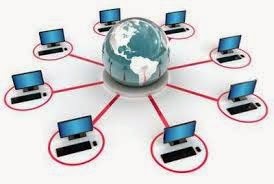 This is all about Different Types of Input Devices for Computer with pictures.